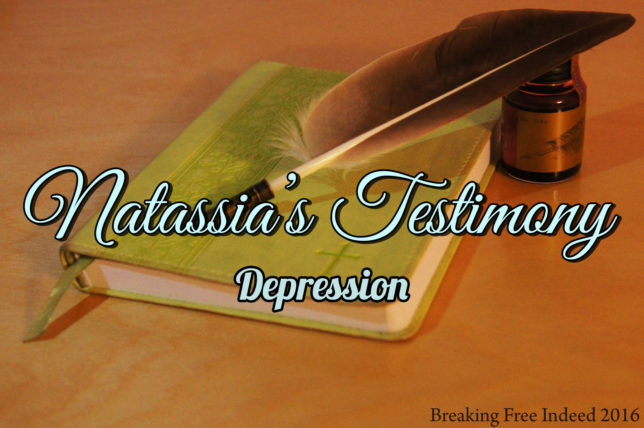 “DEPRESSION”… I went through this… It was a horrible time in my life because depression is a killer to the spirit. It’s a drug that controls you, and a terror that never leaves you as long as you sit and let it control your life. A lot of times people feel there is no stopping depression, but there is. I beat it because I knew I no longer wanted to live fearful. Depression made me fearful of messing up, fearful of conquering things, and fearful of relationships. I worried about what people thought of me, and I felt insecure about myself. I had no faith that I could be a leader, even though I was a leader. People’s hurtful words stuck to me and made it worse. Depression even led me to having anxiety and panic attacks. Again, I say depression is “a killer to your spirit.” It takes your happiness and joy. It makes you want to be alone. It makes you want to quit everything, to just give up. It hunts your mind. It can make you hallucinate. It makes you cry for no reason. It causes unexplained pains in your body. For some, it gives you sexual desires. For others, it causes self harm or suicide. It makes you feel that people are always talking about you. It will make you worry about the next day if too much is on your mind. It makes you lose yourself. Depression is like a demonic spirit that is eating at you and trying to destroy you. It’s a fight with yourself and with evil. Without strength in God, it’s hard to overcome. It’s not something you should just say you have, but it’s something that you should start fighting against! There is a cure for depression! Once I found out I was depressed, I was tired of living that way. I prayed hard, and I played the songs “He Wants It All” and “Why Not Trust God Again” over and over. I cried out to God and surrendered! I was depressed 3 years. I had to get God’s help, and I wanted His help. As I let go, I started to feel a difference, slowly but surely. I pushed myself even though it was hard, and I started conquering fears!!! With the help of God and people who understood my situation, I was able to start overcoming my fear, and with every fear I conquered I felt a weight lifted! I tell you, the devil doesn’t like you overcoming things. And the devil will keep trying to throw things at you to make you fall back into depression. You need Christ there with you. His strength will help you to say “No, I won’t go back!” to the devil’s schemes. You can defeat his evil schemes! I thank God because I’m set free! And joy feels so much better than misery. This is my testimony! I used to be afraid to give my story. I was afraid of what people might say, but now I’m not ashamed. There many people out there going through the same thing, and God can use my story to help them.